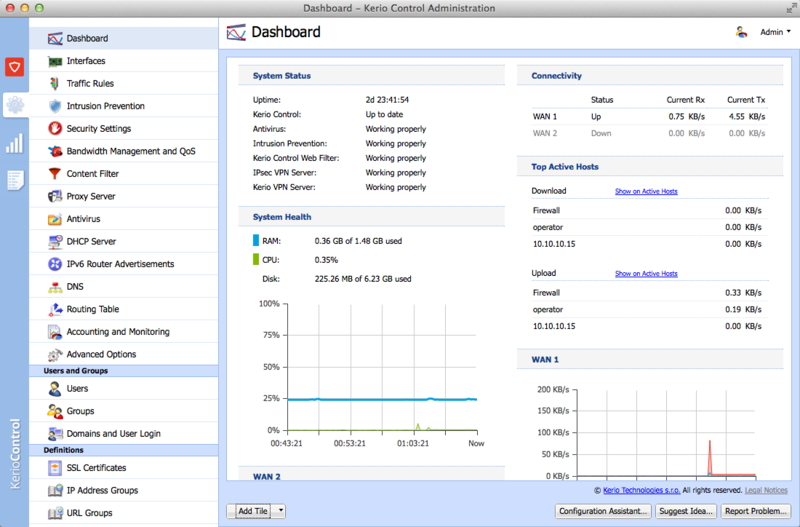 Kerio Control works comfortably in your existing IT environment -- whatever your needs. Choose the approach that best fits with your existing IT processes, infrastructure and organization. Link headquarters to remote users and branch offices securely and easily. 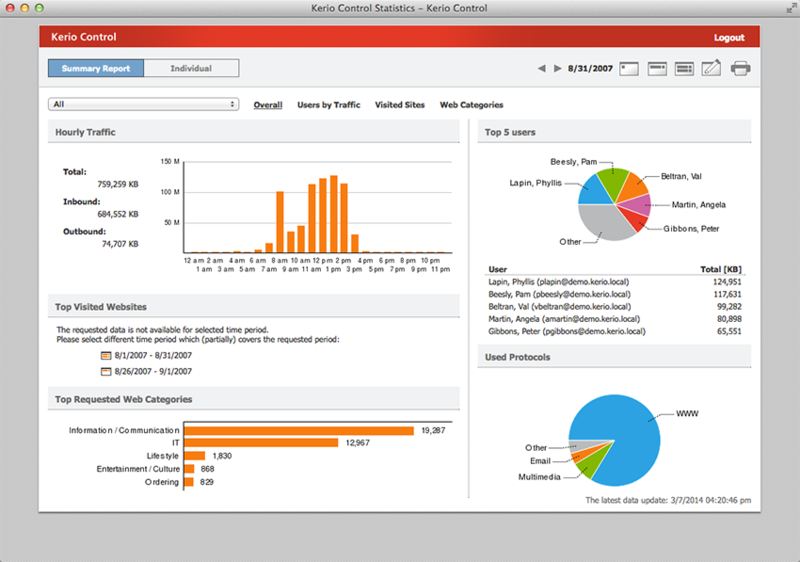 Kerio’s own VPN tunneling with dead-simple setup requires minimal configuration, and provides a high-performance network connection. You can also use industry-standard IPsec/L2TP for connectivity from mobile devices or third-party firewalls. 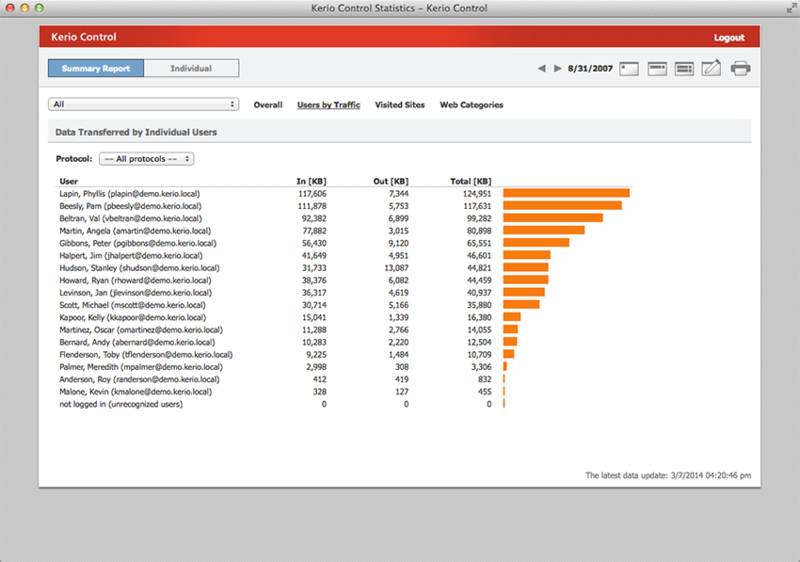 View individual users’ Internet activity, refine traffic-shaping rules and more with automatic, detailed reports from Kerio Control Statistics sent to your email inbox. Use insights from reporting to limit legal liability and improve productivity by blocking access to sites, applications and content categories or limiting it to specific time of day, users/user groups and user locations. Easily prioritize and monitor network traffic to guarantee high-speed transmission for the most important traffic types. Internet Link Load Balancing optimizes Internet access by distributing traffic across multiple links. 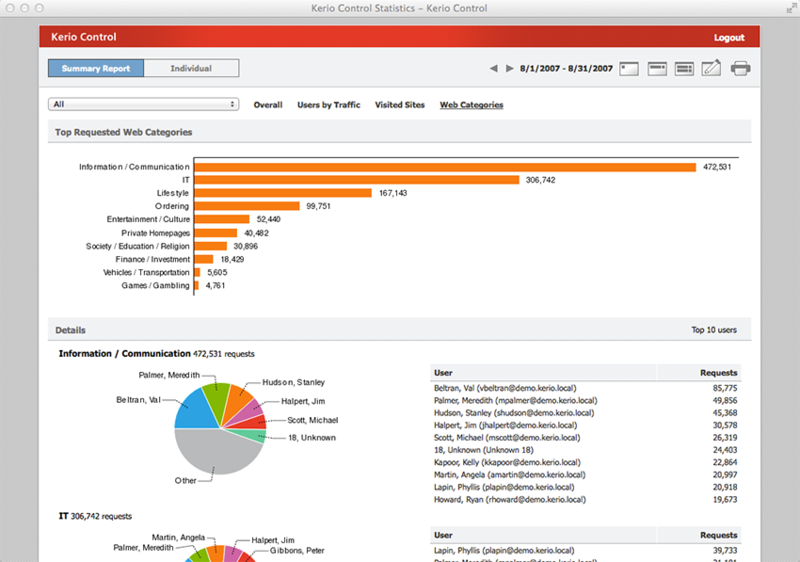 If you'd like to have a chat with us about Kerio Control, please select this option. If you'd prefer to email or phone us, our details are also here.